It’s easy to become fully immersed in the world of the Instagrammer without even realising it, but here at Avant PR we’ve noticed this new generation of bloggers rising to the top of the social chain and introducing a whole new way to connect with client audiences, and a seriously effective way at that. You see, we’ve grown used to bloggers and the idea that we’ll check in with our favourites every week or so to catch up on blog posts, but what is becoming more apparent, especially in the world of PR, is that the most interaction and reach can be found on Instagram, and that a vast number of bloggers have started to pour the majority, if not all, of their energy into Instagram. The Instagrammer is usually an unfairly beautiful individual, with a mane of hair so glossy you want to reach through your screen and stroke it and a dress sense so insanely perfect that you consider burning your entire wardrobe. This new tier of bloggers is also incredibly savvy and hard-working, something often overlooked in the fashion game when it’s difficult to see past those shiny, shiny shoes. What can often be forgotten is that it takes a lot of work and dedication to build up such a strong following on Instagram that brands wish to partner up and make you a part of their promotion. The brand social tag or hashtag that you see in an Instagrammer’s post hasn’t just magically appeared there – it can take a good deal of work to create content that fits both the blogger and the brand’s vision. The most successful Instagrammers will have perfected the art of working with brands to provide a genuine relevance to their followers and achieve the optimum results for both parties. Alongside this, there are photographers involved, as well as planning and scheduling, dealing with PR bods like our lovely selves and a great deal of other commitments, all of which have positioned the Instagrammer as a full time job – though that’s something that is easy to forget when you’re sat at the bus stop scrolling with sorrow through your favourite blogger’s feed, whilst they’re on the holiday of a lifetime. 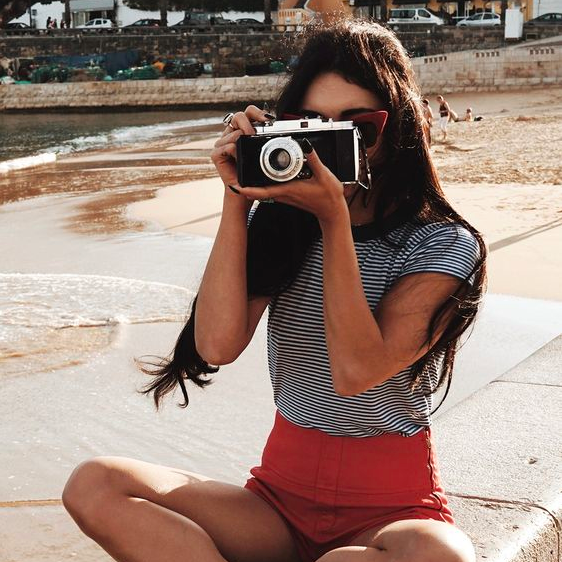 It’s not just fashion where the rise of the Instagrammer has taken hold – travel, fitness and food blogs are all now prioritising the platform for reaching their desired audience and building up a loyal following. While it’s easy to sit and say that Instagramming isn’t a job, the vast demand for these new bloggers both in a consumer sense, and from a PR and marketing point of view can only support the fact that Instagrammers are, in reality, doing a fabulous job and have their work cut out more than ever.